From the World Heritage inscription for the Temple of Preah Vihear. The Temple of Preah Vihear, a unique architectural complex of a series of sanctuaries linked by a system of pavements and staircases on an 800-meter long axis, is an outstanding masterpiece of Khmer architecture, in terms of plan, decoration, and relationship to the spectacular landscape environment. Preah Vihear is an outstanding masterpiece of Khmer architecture. It is very ‘pure’ both in plan and in the detail of its decoration. Authenticity, in terms of the way the buildings and their materials express well the values of the property, has been established. The attributes of the property comprise the temple complex; the integrity of the property has to a degree been compromised by the absence of part of the promontory from the perimeter of the property. The protective measures for the Temple, in terms of legal protection, are adequate; the progress made in defining the parameters of the Management Plan needs to be consolidated into an approved, full Management Plan. You can read about my trip to Preah Vihear: Part 1, part 2, and part 3. The Temple of Preah Vihear is another UNESCO World Heritage Site in Cambodia. It was inscribed into the list in 2008 and covers more than 154 hectares. It has a buffer zone of over 2,642 hectares. This temple is located on the edge of a plateau that dominates the Cambodian plain. This temple was built in dedication to Hindu god, Shiva. The temple consists of a series of sanctuaries that were built as a system made up of staircases and pavements. The temple dates back to the 11th century AD but some records indicate that it has been around since the 9th century. The remote location of the temples is considered as one of the reasons why it is well-preserved. 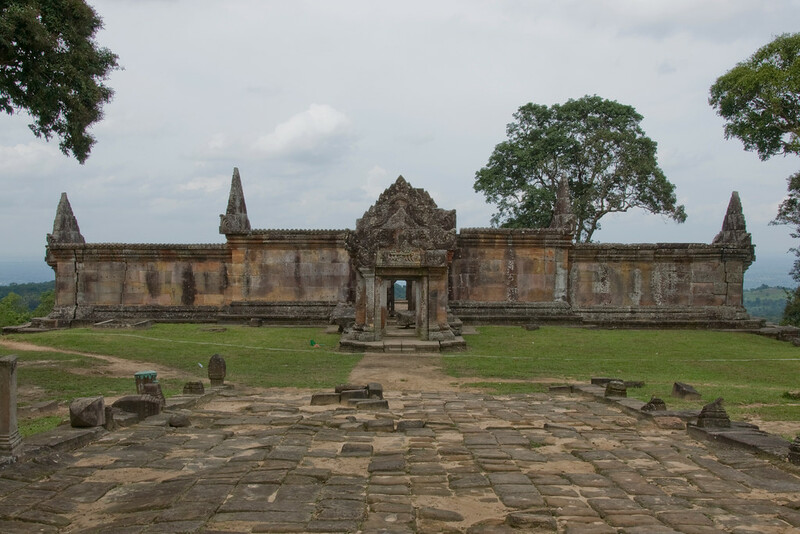 For this reason, the Temple of Preah Vihear is deemed of exceptional architectural quality. It blends in with the natural environment and plays a vital role to the history of the land as a religious structure. It is located on a cliff in Dangrek Mountains within the province of Preah Vihear in Cambodia. It was the subject of dispute between Thailand and Cambodia since 1962. The International Court of Justice ruled out that the temple belongs to Cambodia. The Temple of Preah Vihear offers the most spectacular setting out of all the temples built during the Khmer Empire’s rule in Cambodia. 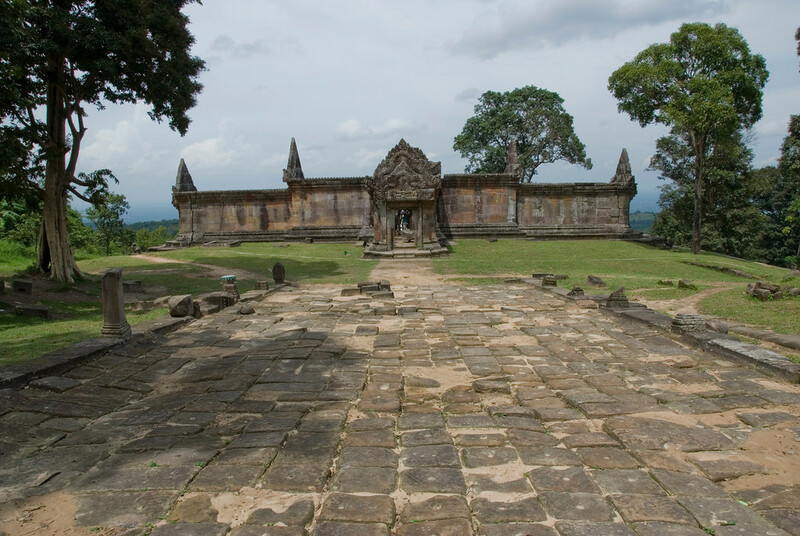 The official name of the temple is Prasat Preah Vihear. The temple was primarily constructed as a Hindu religious structure. However, the decline of Hinduism in the region has converted the site into Buddhist use, just like the Angkor Wat temples. If you want to visit the Temple of Preah Vihear in Cambodia, you must travel either via Tbeng Meanchey in Preah Vihear province or via Anlong Veng in Siem Reap province. The road from Siem Reap is paved. However, once you approach the Dangrek escarpment, you can drive through occasional graded gravel roads. 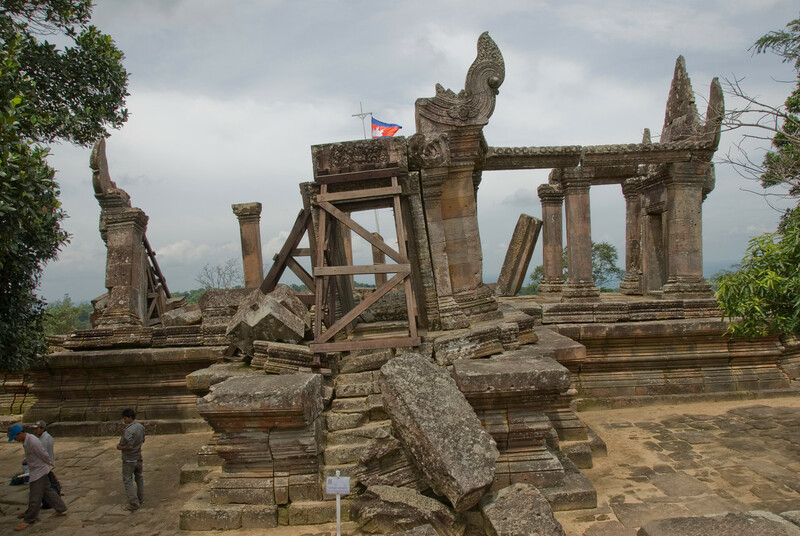 As of 2015, you cannot travel to Preah Vihear from Thailand. The Temple of Preah Vihear is considered of important cultural value to Cambodia and its history. This unique architectural complex of temples exhibits one of the best examples of Khmer architecture, along with that of Angkor Wat. From its plan to the decoration, as well as integration with the natural environment that surrounds it, all of these elements are true to the principles of Khmer architecture. Due to its value, it has been the subject of dispute between Thailand and Cambodia. This dispute resulted in outbreaks of violence on a periodic basis. In fact, there was a military clash in the area in 2008. In 2009, it was reported that 66 stones on the temple were damaged due to gunfire from Thai soldiers at the border. This long dispute ended in 2013 wherein Cambodia was named as the sole owner of the region, forcing the Thai troops to leave the area. View the complete list of UNESCO World Heritage Sites in Cambodia. The indian temples are of special charm. They hide some mistery some feeling of wisdom and peace. at least these are the things i feel when i go there.